I was recently in Korea to participate in a conference for Korean teachers. Great time. 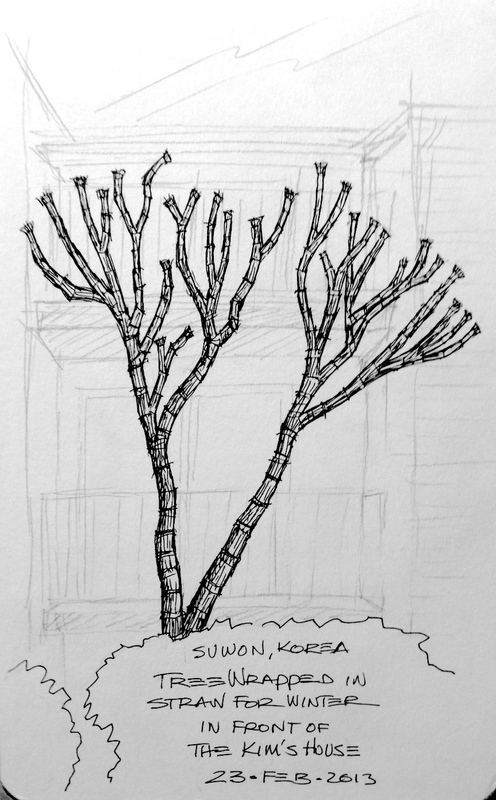 While there I found a moment to make a sketch of a tree that was wrapped in straw! I was told the straw helps the tree survive the long winter. Seems like a lot of work, but it sure looked cool.